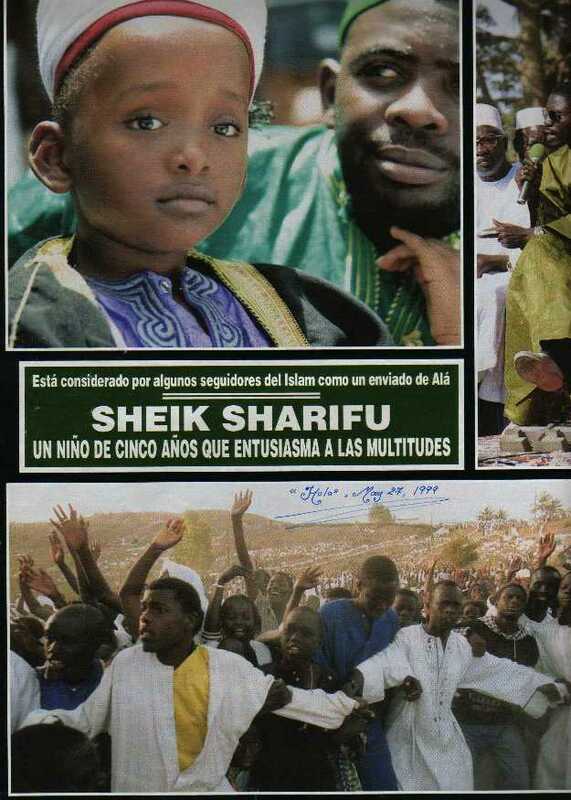 Have you heard about this Muslim prophet, Sheik Sharifu? 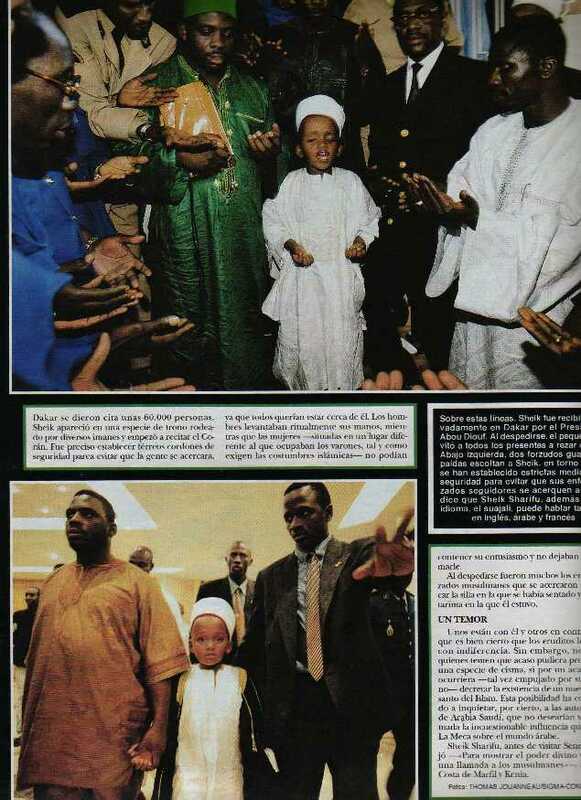 The article below says that he was already screaming "Allah is great!" when he was only 4 months old, that he never went to school but speaks 4 languages, knows the Koran almost by heart, etc. 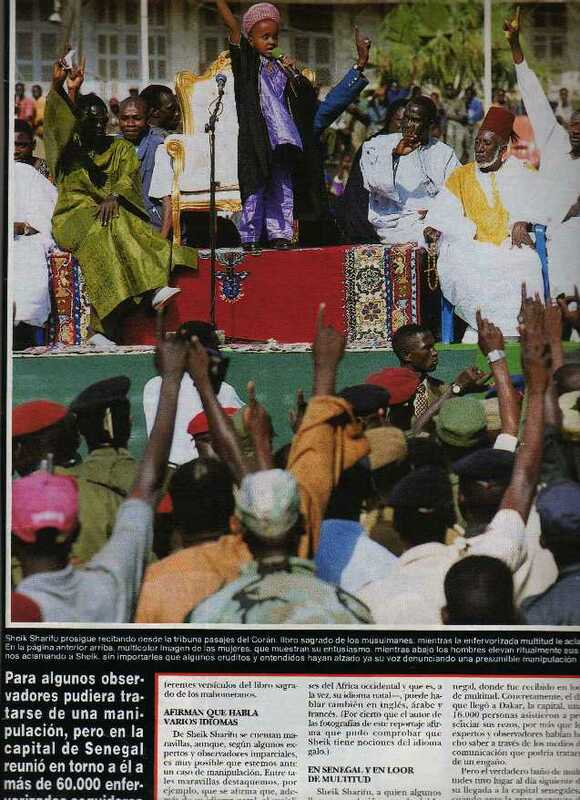 Here are some photos when he preached in Senegal, as you can see there was a big mass hysteria. Today he is 11 years old. These photos are from HOLA. The Word of God teaches that God has a Son, and His name is Jesus Christ. Anyone who denies this truth is called an "antichrist" (1st John 2:22). Thus, All Muslims are antichrists and are condemned to Hell because of their unbelief, "He that believeth on the Son hath everlasting life: and he that believeth not the Son shall not see life; but the wrath of God abideth on him." Sheik Sharifu is a liar! Aren't people so gullible? The Devil always appears as light and righteousness, but he brings death and misery (2nd Corinthians 11:14, John 10:10). Satan is a master deceiver and liar. 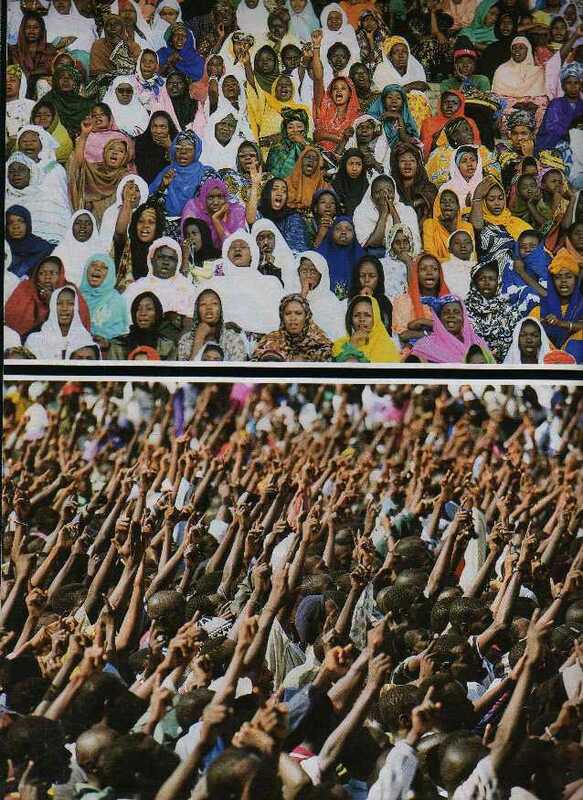 Can you imagine thousands of people worshipping some child because he is shouting praises to Allah? Folks, Allah is a myth. Many Muslims will claim that we all worship the same God, but nothing could be further from the truth. The Word of God, the Bible, teaches that Jesus Christ is Almighty God (John 1:1-3,14; 10:33; Colossians 2:9; 1st Timothy 3:16; Revelation 1:8). In contrast, the Koran denies that Jesus is God, or that He ever died upon the cross, or that He is God's Son. 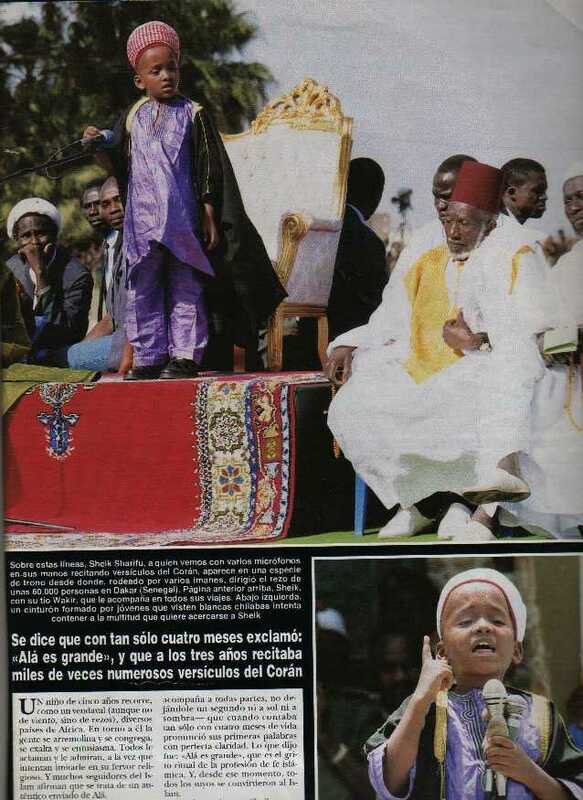 Clearly, there is no harmony between devout Christians and Muslims. The New Age religion is trying to homogenize the world's religions into believing that there are many ways to God, but the Word of God is adamant that there is only ONE, and that is through JESUS CHRIST! (John 14:6).